IBPS RRB Recruitment 2018: Institute of Banking Personnel Selection has publicized the employment notification towards IBPS RRB Recruitment. 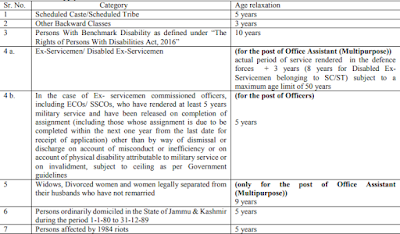 There are total 10200 Office Assistant and Officer Scale (I/II/III) vacancies are available in the organization. Only few days are left to apply for IBPS RRB Recruitment. Indian Nationals who have required IBPS RRB eligibility criteria for IBPS RRB CRP-VII and want to secure their career in banking sector must apply against IBPS CWE RRB vacancies through online process till 02-07-2018. IBPS RRB Prelims Exam is going to be scheduled on 11-08-2018, 12-08-2018, 18-08-2018, 19-08-2018, 25-08-2018 and 01-09-2018 while on the other hand IBPS RRB main exam will be held on 30-09-2018 and 07-10-2018. Candidates who are looking for additional information in regard to IBPS RRB Recruitment 2018 are suggested to go through the below mentioned page which is well prepared by team members of www.privatejobshub.in. As, to become an eligible candidates for IBPS RRB jobs 2018, you need to satisfy IBPS RRB Eligibility only then you are eligible to apply for IBPS RRB 2018 Recruitment. For IBPS RRB CRP-VII Recruitment 2018, candidates must possess minimum qualification as per the post for which individual is going to apply. Contenders applying towards IBPS RRB Vacancy Notification need to pay application fee through online mode. Bank Transaction charges for Online Payment of fees will have to be borne by the candidate. For IBPS RRB 2018 Selection, individual will be selected for IBPS RRB Recruitment on the basis of performance in online Written Examination which will conducted in two rounds that IBPS RRB Prelims and IBPS RRB Mains. Selected candidates will be further called personal interview and document verification as per IBPS RRB Notification for final selection in applied programme. Successfully selected candidates in all the rounds of IBPS RRB Notification will get outstanding amount of IBPS RRB Salary as per their post for which individual has applied. Details of salary structure for IBPS RRB Recruitment is mentioned below you can have a look on it. Now, select CWE RRBs that is available in left section of home page. Then, on appeared page you have to select “Common Recruitment Process- Regional Rural Bank Phase VII” for IBPS RRB Recruitment. Read IBPS RRB Advertisement carefully and ensure your eligibility before applying towards it. Eligible candidates can apply online and fill IBPS RRB Application Form with complete and accurate details. You must upload all required documents and certificates with application forms. Make the payment of fee through proper mode. Finally you can check the details and hit submit button. Also, take the hard copy of IBPS RRB Online Form and keep it secured for future use. Those candidates who want to get further details about IBPS RRB Recruitment 2018-19, they can go through the Official Link. Candidates can also visit the official website of the organization with the help of this official website link. Those candidates who are satisfied with the details of IBPS RRB Recruitment given here and want to keep this page safe they can bookmark it by using CTRL+D tab.